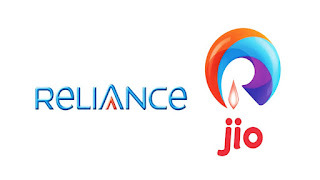 Reliance Jio’s Dhan Dhana Dhan offer is set to end on July 15 now Jio has revised the existing Rs. 309 and Rs. 509 plans. Rs. 399 Plan for JioPrime customers, which offers 1GB data per day for 84 days The new Rs. 349 plan which gives 20GB data for 56 days there is No Data per day.offer the same benefits for 56 days. Rs. 509 plan that offered 2GB data per day now comes with 56 days. The Rs. 999 plan will now provide 90GB data from the previous 60GB data for 90 days. The Rs. 1999 plan is now valid for 120 days, and the data benefit is also increased from 125GB to 155GB. The Rs. 4999 plan will now provide 380GB data for 210 days, modified from the 350GB data for 180 days validity. Lastly, the Rs. 9999 plan is now valid for 390 days and gives a benefit of 780GB data. And for the postpaid users as well, Jio silently launched some new plans. The Rs. 399 plan for postpaid users offers 1GB data per day for 90 days (three months), making it a total of 90GB. The Rs. 349 plan for postpaid users gives 20GB data for 60 days without any daily cap limit.The Rs. 309 and Rs. 509 plans for postpaid users are also revised and are now valid for two months (60 days) from the previous one month benefit. Lastly, the Rs. 999 plan now gives 90GB data for 60 days, revised from the previous 30 days validity.